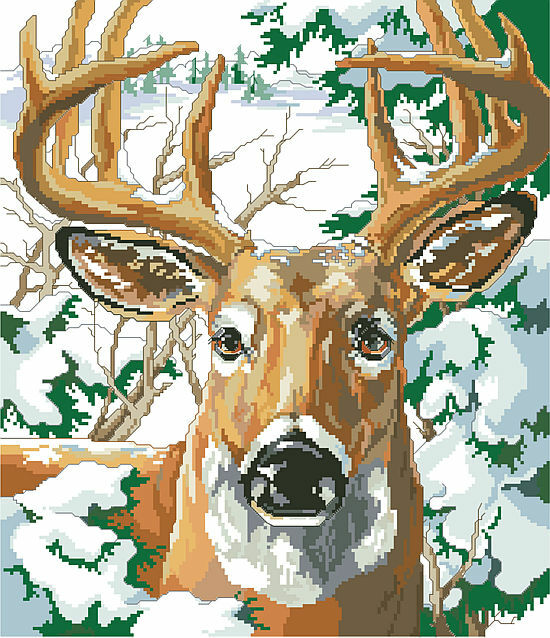 Staring right at you is a perfect ten point buck, surrounded by fir trees laden with snow. This chilly and striking image would look wonderful in a man cave, den or winter ski cabin. 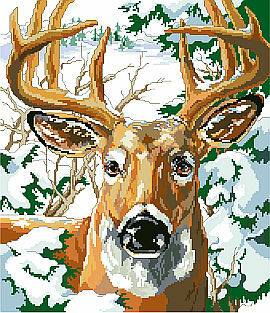 This design by Linda Gillum works up as big as its subject matter at 12” x 14”.